When it comes to travelling with kids, cruising offers next-level family fun. When it comes to choosing a cruise vacation, expect hassle-free travel to see multiple destinations in one vacation and onboard activities to keep kids busy for days at sea. From a Mardi Gras ship to elegant family staterooms, check out these new options for family cruises. With stand-out amenities such as racetracks and Aqua Parks, as well as top-notch entertainment including Broadway musicals, Norwegian Cruise Lines is perfect for families. This spring, following a $50 million enhancement, the popular Norwegian Joy heads to Alaska, guaranteeing family fun both off the ship and on. Calling at ports such as Ketchikan, Skagway and Icy Strait Point, families can explore the wilderness and culture of The Last Frontier. Onboard, kids will get a kick out of the newly renovated two-level go-kart racetrack, as well as an indoor galaxy pavilion complete with multiple virtual reality experiences and an outdoor laser tag arena. Norwegian Joy is the only ship in the fleet to feature Concierge Suites accommodating up to six people – perfect for larger families or multigenerational groups. Get ready for a whole new level of family fun and excitement when Carnival Cruise Line launches its new Mardi Gras ship with the first-ever rollercoaster at sea, aptly called BOLT. This open-air rollercoaster will take you high above the sea for incredible views – that is if you can keep your eyes open! That’s not all this new ship offers when it comes to fun. There’s a waterpark with twin racing slides and a giant dumping bucket that kids will undoubtedly be trying to get their parents under. There’s also SportsSquare with everything from basketball to soccer and mini golf. Mardi Gras is scheduled to set sail for the first time in 2020 with Caribbean and European sailings. When designing its newly launched ship, Nieuw Statendam, Holland America Line had families in mind. The 2,666-passenger ship includes 32 family ocean-view staterooms designed to give families more space. The rooms can accommodate up to five guests and offer special amenities that are helpful to families, including two bathrooms and extra closet space. Comfortable suites are just part of the draw – there is a lot of family fun to be had on the ship with live musical experiences at the Rolling Stone Rock Room, Lincoln Center Stage, Billboard Onboard and B.B. King’s Blues Club. Nieuw Statendam also offers Club HAL programming for kids aged three to 17. Through the club, teens can try mocktail parties or gaming tournaments, while little ones join story time or painting classes. Already made famous by its celebrity godmother, Oprah Winfrey, this ship sails in the Caribbean and Europe with lots of options to visit Nordic countries. From kayaking to scavenger hunts, arts and crafts, and whale watching, there will be no shortage of activities for youth aboard upcoming special Alaska departures with UnCruise. 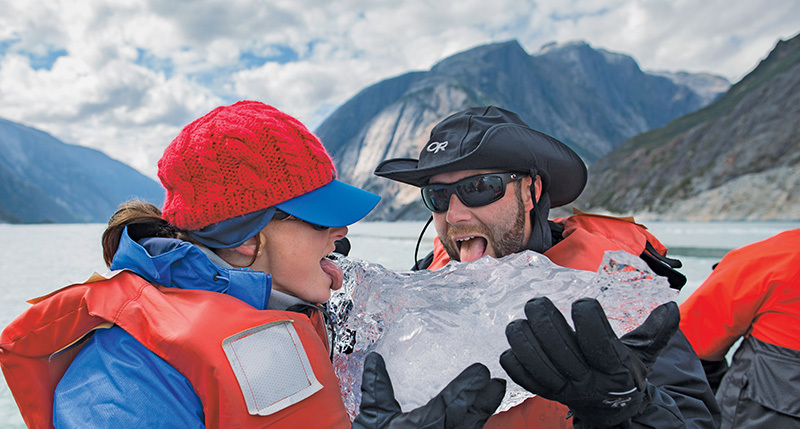 While kids are having non-stop fun, parents will be able to take a break and leave the planning to the onboard Youth Adventurist, Erin Kirkland, who is hosting the seven-night Alaska’s Glacier Country cruise departing July 5 and Aug. 9. A resident of Alaska, Kirkland is the author of Alaska On the Go: Exploring the 49th State with Children guidebook series. She is also the publisher of an online family travel resource in Alaska. UnCruise is suitable for kids over eight years old (some exceptions can be made for younger kids). 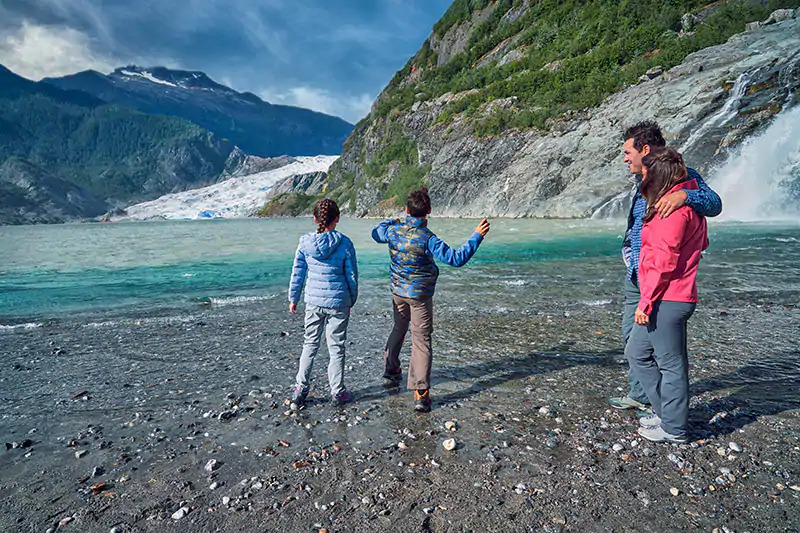 With UnCruise Family Discovery sailings, including these Alaska ones, kids under 13 years save $500. Royal Caribbean International recently debuted the newly transformed Navigator of the Seas with $115 million of next-level features that ramp up the fun for family adventures. Kids will love a game of glow-in-the-dark laser tag, trying out The Blaster, the longest aqua coaster at sea, or going head-first down the Riptide waterslide. While the kids are playing, moms might be inclined to treat themselves at To Dry For, the first stand-alone blow-dry bar at sea where guests can enjoy a glass of wine or champagne while getting their hair done. There’s also the Royal Escape Room where families (kids must be 14 or older) have 60 minutes to work as a team to uncover clues and solve puzzles. Look for departures for quick getaways from Miami to the Bahamas, which include a stop at the cruise line’s private island to enjoy beach time, pools, waterslides and even a balloon ride. The private island, Perfect Day at CocoCay, is currently being transformed and set to officially open in May.